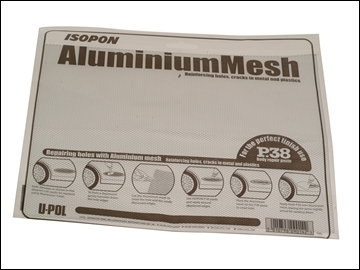 Aluminium Mesh 250mm x 200mm reinforces holes or cracks in metal and plastics. Aluminium Mesh used alongside body filler creates a strong and durable patch repair which can then be primed and overpainted. Ideal for car body repairs. For the perfect finish use appropraite body repair filler.